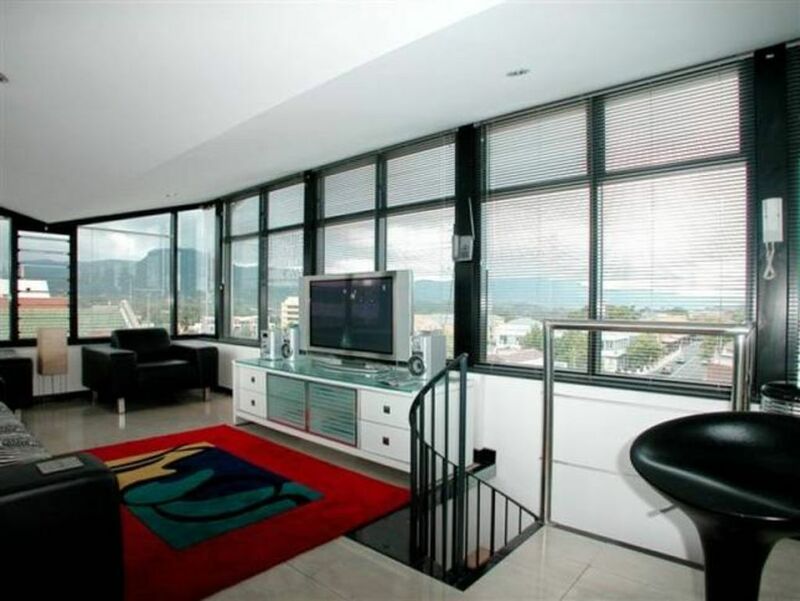 Wollongong City Penthouse - au coeur de Wollongong. au coeur de la CDB de wollongong. Vues 360 ', meublées avec des installations de qualité et des équipements ainsi qu'une place de voiture. Parfait pour les hommes d’affaires effectuant un court séjour ou une escapade de week-end idéale pour un couple ou des amis. Avec des cafés, des restaurants et des magasins à deux pas de la plage et à seulement 10 minutes à pied des plages de la ville, son emplacement est imbattable et son prix imbattable. Faites vite! Veuillez noter que cet établissement peut accueillir jusqu'à 3 personnes seulement (lit Queen size et futon dans la chambre et lit simple à matelas Euro situé à l'étage dans le salon). Toute demande de 4 personnes ou plus sera ignorée. En outre, cette propriété ne convient pas aux enfants de moins de 10 ans en raison de la pente raide de l'escalier en colimaçon. Merci et au plaisir de vos demandes. Tom was very accommodating and met us on arrival and departure. The apartment was very comfortable, had everything we needed for a short stay as sooooo close to everything in town. Gorgeous penthouse apartment. It was clean, comfortable and well priced. Gorgeous penthouse apartment. It was clean, comfortable and well priced. Close to shops, restaurants and bars. Great place to stay. Close to everything. Tom was great to deal with. Thanks Jess - Hope your back one day . Thank you for staying and leaving everything so neat and tidy . All the best. A quirky little place. Great views, nice furnishings. However, wasn't expecting the road/traffic noise, no balcony or oudoor area. The crockey/glass/utensils were not very clean, the bed was unstable on righthand side. Was not value for the money paid. Hi Leanne , Thank you for the review - being right in the city centre there is alittle traffic noise to be expected and in the description of the unit outdoor entertainment or balcony is not included or ticked off as a feature . All crockery , glass , and utensils are washed and cleaned before every guest checks in and the bed slats on the right hand side of the bed have been fixed since found broken after your stay. I have been on stayz now for over 3 years and my property has consistently been rated 4.5stars and above and I have had many guests come back a 2nd and 3rd time as they think it's great value for money so I'm saddened to see that you think otherwise . Great little place. Very clean and comfortable. Excellent communication with agent. Close to the beaches, right in the heart of the city. Lovely apartment!